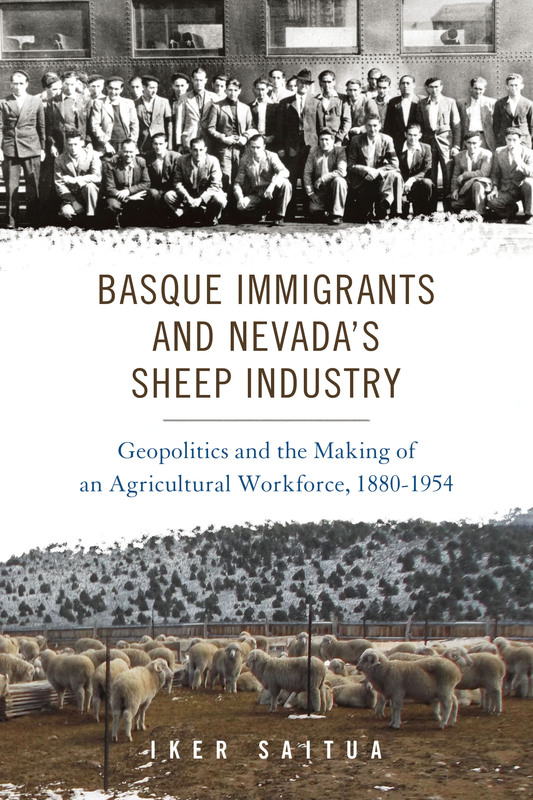 Basque Immigrants and Nevada’s Sheep Industry is a rich and complex exploration of the history of Basque immigration to the rangelands of Nevada and the interior West. It looks critically at the Basque sheepherders in the American West and more broadly at the modern history of American foreign relations with Spain after the Second World War. Between the 1880s and the 1950s, the western open-range sheep industry was the original economic attraction for Basque immigrants. This engaging study tracks the development of the Basque presence in the American West, providing deep detail about the sheepherders’ history, native and local culture, the challenges they faced, and the changing conditions under which the Basques lived and worked. Saitua also shows how Basque immigrant sheepherders went from being a marginalized labor group to a desirable, high-priced workforce in response to the constant demand for their labor power. As the twentieth century progressed, the geopolitical tide in America began to change. In 1924, the Restrictive Immigration Act resulted in a truncated labor supply from the Basque Country in Spain. During the Great Depression and the Second World War, the labor shortage became acute. In response, Senator Patrick McCarran from Nevada lobbied on behalf of his wool-growing constituency to open immigration doors for Basques, the most desirable laborers for tending sheep in remote places. Subsequently, Cold War international tensions offered opportunities for a reconciliation between the United States and Francisco Franco, despite Spain’s previous sympathy with the Axis powers. This fresh portrayal shows how Basque immigrants became the backbone of the sheep industry in Nevada. It also contributes to a wider understanding of the significance of Basque immigration by exploring the role of Basque agricultural labor in the United States, the economic interests of Western ranchers, and McCarran’s diplomacy as catalysts that eventually helped bring Spain into the orbit of western democracies. Iker Saitua is a Basque Government Postdoctoral Fellow in History at the University of California, Riverside and the University of the Basque Country (UPV/EHU). He is a native of the Basque Country and a historian of the Basque Country and the United States.